We sat down with award-winning thriller author Brad Parks at Succeed2gether’s Montclair Literary Festival. We picked his brain about how being a journalist influenced his fiction writing, the mistakes he made on the path to publication, and how he found the right literary agent and set himself on the road to publishing success. David: Hello. We’re the Book Doctors. Brad: I’m not a Book Doctor. D: No. 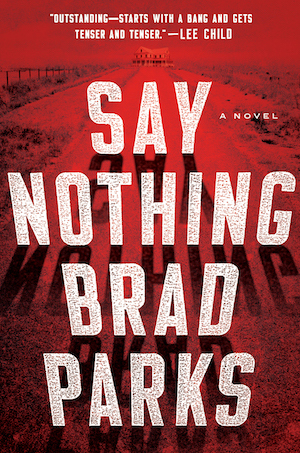 We’re talking to Brad Parks, who just told us that he has all his own teeth, and I think that’s important as a writer. Not that you can’t be a writer if you’re missing teeth. . .
B: No. It’s not necessary to the writing process. I’ve never tried to type with my teeth, but it’s good to know I could if I wanted. D: We were just talking about journalism, and you were a journalist first. I always tell people when they’re young and out of school that it’s a great way to learn how to be a writer because you’ve got to pump out the words in a small space. Arielle: And on a deadline. D: Will you talk about how that helped you? B: How did it not help me? For starters, I was a sports writer starting out, and in modern day sports, everybody knows the score already, like they’ve seen the stats, and so you’re going to the ballpark every day and it’s find a story, tell a story. Find a story, tell a story. That’s a great muscle. D: The muse hasn’t struck. B: We were just talking off-camera–not that they would know–about my young days as a reporter for The Star-Ledger. I’d just gotten hired at the paper and our Yankees beat writer left, so suddenly they threw me onto the Yankees beat in a temporary situation. So big pressure. The sports editor sat me down and explained that sometimes they would hold an entire edition of the newspaper waiting on the Yankees score. And you have to hit the button as soon as the game ends. He said for every minute the trucks and presses are waiting, it costs $15,000. “And what do you make a year, young man?” That’s a deadline, my friends. D: We always say, “What are the stakes in the story?” The stakes are high. B: The stakes are very high. And you can’t sit there going, “Is that really the word? I’m just, I’m not sure that has the right shading.” No, you’re just jamming it out. A: Before you sold your first novel and you were writing it, did you set your own deadlines? B: No. So before I sold my first novel, I did everything wrong. A: And you hadn’t written it? B: I had not written a word. So I did a thing where I’m a nerd and I did a spreadsheet, and I figured a thousand words a day, that’s a newspaper article plus a little padding, and I can do that. What a difference it makes when it’s a thousand words every day and you’re into the story. I always say it maximizes your bottle-washing time. I call it bottle-washing time because we had small kids at the time so I was washing a lot of bottles. While you’re doing this monotonous thing, your brain is always churning on the story and you’re just staying in touch with it. So even now, I’m a thousand-words-a-day writer. That is my thing. That is my jam. That’s my discipline. D: There’s some one, one of those old writers, Somerset Maugham or somebody, who would write 500 words in the morning when he woke up, and no matter where he was in the sentence at the 500th word, he’d put the pen down and say, “Time for a martini! That’s a good day’s work done.” You crank out 500 or a thousand words every single day, you’re going to have a book very quickly. B: If you do a thousand words a day, you’re going to have a draft three months later. A: We have that quote in our book, actually. It’s a wonderful quote. We want to always know the publishing breakthrough side of your story because we are here to help people get published successfully. We’ve already heard something you didn’t do right. D: And something you did do right. A: So in terms of the “I got my novel published,” what was something that really got you to that point that you think you did well? B: How much camera film do you have there? I’m gonna break the cloud if I’m talking about everything I did wrong. I did everything wrong, absolutely everything, because I did it like a newspaper reporter. I figured out I need to get an agent, and what I did was I said, “Who do I know?” “Who do I know” is not the way to go about it. I have become an evangelist for the query process and for actually doing it correctly because “who do I know” is not necessarily going to lead you to the right agent. It led me to a woman who was very wonderful and very smart, I can say nothing bad about her, except she wasn’t truly a mystery/thriller agent. So when she would walk into those publishing houses and be pitching those editors, they were like “who is this lady?” because she didn’t have anybody else in the genre. That kind of led me to a spot where I wasn’t being taken as seriously. A: Did you sell a novel with her? B: I sold a novel with her. But did I sell it well, Arielle? Before you publish, you think, “If I could just be published, that’s the mountaintop. There it is.” And then you realize it’s the base camp, and there’s this whole other thing you have to climb. I mean, it took a number of years for me to undo the mistakes I made early on in my career. D: We always tell people to research when you try to find an agent because if you’re a mystery writer you don’t want to get a romance agent or a nonfiction agent. B: That is very, very true. The wrong agent is worse than no agent. D: It kind of is in a way. A: Also it can be very hard to sell a second book if the first book doesn’t do as well as everybody had hoped. B: I always say that you only get one chance to make a first impression in this business, and your debut novel is like this capital that you get to spend once. And everybody is going to be looking at the new kid in town. They’re going to be looking at Delia Owens’ Where the Crawdads Sing. And suddenly, Reese Witherspoon likes it. And by the way, Reese, you would love my books. Let’s talk. You have that one time you get to be that debut novelist that everybody’s going to be checking out. Man, hit that one time right and everything else is smooth. D: You’re the only writer who won the three awards that nobody ever has. . .
B: They are the Seamus, Nero, and Lefty awards, which is a little bit like saying, you know, nobody’s ever skied down a ski slope in Florida while making French fries. It’s an odd miss of awards because the Seamus Award is for hard-boiled PI, and the Lefty Award is for humor, and the Nero Award is, like, books written in the tradition of Nero Wolfe. D: That’s a cool thing. It’s kind of a weird Triple Crown. A: I think nobody does it exactly right. B: No. Stephen King struggled at first. David Baldacci did it right. He sold his first book for a million dollars and the movie rights for two million dollars. I don’t know why I didn’t think of that. A: Sometimes luck and doing it right come together. I mean, most people who are novelists aren’t even making a living at it. They are doing other full-time jobs. B: Right. Making a living . . . (knocks) as I knock on this faux wood . . .
A: I’m going to take exception to you saying you didn’t do it right because you’ve done many things right. So at a certain point you said, this is not the right agent for me, and then what happened? B: Oh boy, are you sure you have enough film footage? You know, so really, I had at that point launched a series, and it’s very hard to move a series as we all know, so we kind of formulated that, all right, you’re going to have to do a stand alone. A: With the new agent? B: With the new agent. A: Wait, I have to interrupt you. When you say, “throw it away,” had you sent each of these to the agent? A: And the agent said? B: This is good but . . .
Then we got to the fourth one, the one I really thought was it, he fired me. He said, “Look, I can’t do this anymore. You know, he got to a point where he felt like . . . I’d made a bad storytelling choice, admittedly, and I think the weight of the previous three novels, he just felt like he couldn’t. It was a wonderful and devastating thing to have happen, but it really made me go back and I actually did the query process right for the first time. I actually said, “Okay, really, truly who do I want? What am I looking for?” I talked with a number of agents. I spent five months looking for an agent, which by that point, as a guy with my track record, I could have called somebody and said, “Will you represent me?” They would have said yes. Done. But I really wanted to make sure I did it right. I found a woman named Alice Martell, who really worked the book with me in a rigorous way. It’s like that one person who can force you to dig deeper and say, “Nope, that wasn’t good enough.” And like, “Right here, you need to step on the gas pedal for about a paragraph or two.” I do? What? You want more? Okay, there’s more there, I’m sure. Somewhere. B: It’s so funny. Publishing moves so fast sometimes editors don’t really have time to edit. This is where being an ex-newspaper guy is a bit of a curse. If you write clean copy, they kind of go, “Okay, well, that’s good enough.” Here was somebody finally in my life saying this is not good enough. We went back and forth for about another five months doing, I think, three more rounds of edits. She finally said, “Okay, it’s time.” Within a week, she had two major houses bidding against each other, and that novel, Say Nothing, has since sold in 15 countries. It was a best seller in Germany. It’s a wonderful story but it only took about seven years to get to that point. D: That’s a wonderful image. B: Man, we don’t talk about this enough as writers, but it’s grit. You’ve got to have grit. I’m fortunate in that I have no other marketable skills so it’s not like I had anything to fall back on. But man, you’re going to get knocked down so much, and you got to get up off the mat and try a different way. A: Many people would have given up after the first one. And this is the thing that we tell people all the time is the perseverance. A: That’s a beautiful story. Thank you. JOIN THE BOOK REPORT TO RECEIVE MORE INTERVIEWS AND TIPS ON HOW TO GET PUBLISHED! 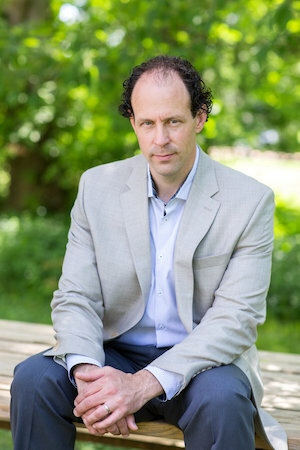 International bestselling author Brad Parks is the only writer to have won the Shamus, Nero, and Lefty Awards, three of American crime fiction’s most prestigious prizes. His novels have been translated into 15 languages and have won critical acclaim across the globe, including stars from every major pre-publication review outlet. A graduate of Dartmouth College, Parks is a former journalist with The Washington Post and The (Newark, N.J.) Star-Ledger. He is now a full-time novelist living in Virginia with his wife and two school-aged children. Learn more at BradParksBooks.com. The Montclair Literary Festival is a community-wide event that aims to exchange ideas, inspire future literary works and engage with different points of view. Working closely with the Montclair Public Library, Watchung Booksellers and a team of local volunteers, the festival will also generate lasting connections between arts institutions, the schools and the community, benefiting a broad cross-section of participants and attendees. You wrote your 50,000 words (or got pretty close!). You’re a winner. You felt the high. Now what are you going to do with your precious manuscript? That’s where we come in. For those of you not familiar with Pitchapalooza, here’s the skinny: You get 250 words to pitch your book. Approximately 20 pitches will be randomly selected from all submissions. 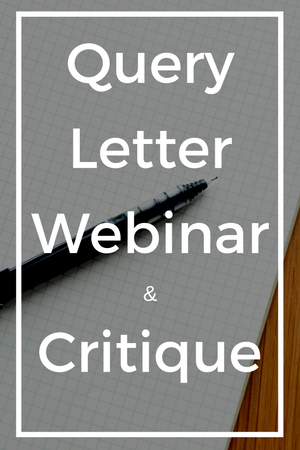 We will then critique the pitches during a live webinar on February 28, 2017 at 4PM PST, so you get to see what makes a great pitch. At the end of the webinar, we will choose one winner from the group. The winner will receive an introduction to an agent or publisher appropriate for his/her manuscript. Beginning January 11, 2017, you can email your pitch to nanowrimo@thebookdoctors.com. PLEASE DO NOT ATTACH YOUR PITCH, JUST EMBED IT IN THE EMAIL. All pitches must be received by 11:59PM PST on February 14, 2017. We will also crown a fan favorite who will receive a free one-hour consult with us (worth $250). On March 1, 2017, 25 random pitches will be posted at our website. Anyone can vote for fan favorite, so get your social media engine running as soon as the pitches go up! Voting closes at 11:59PM PST on March 15, 2017. The fan favorite will be announced on March 16, 2017. If you purchase a copy of our book, The Essential Guide To Getting Your Book Published, by March 15, 2017, we’re offering an exclusive one-hour webinar where you’ll get the chance to pitch your book (worth $75). Just attach a copy of your sales receipt to your email and we’ll send the link to the webinar dates. It’s been a great year for past NaNoWriMo Pitchapalooza winners. Gloria Chao, sold her novel American Panda (think My Big Fat Greek Wedding meets Amy Tan) to Jennifer Ung at Simon Pulse/Simon & Schuster. Publication is planned for Spring 2018. Stacy McAnulty, got a three-book deal from Random House for The Dino Files series. Her third book, The Dino Files: It’s Not a Dinosaur, was released this year. Are you feeling a little unsure about exactly how to craft your pitch? Keep reading. Your pitch is your audition to show us what a brilliant writer you are, it has to be the very best of your writing.